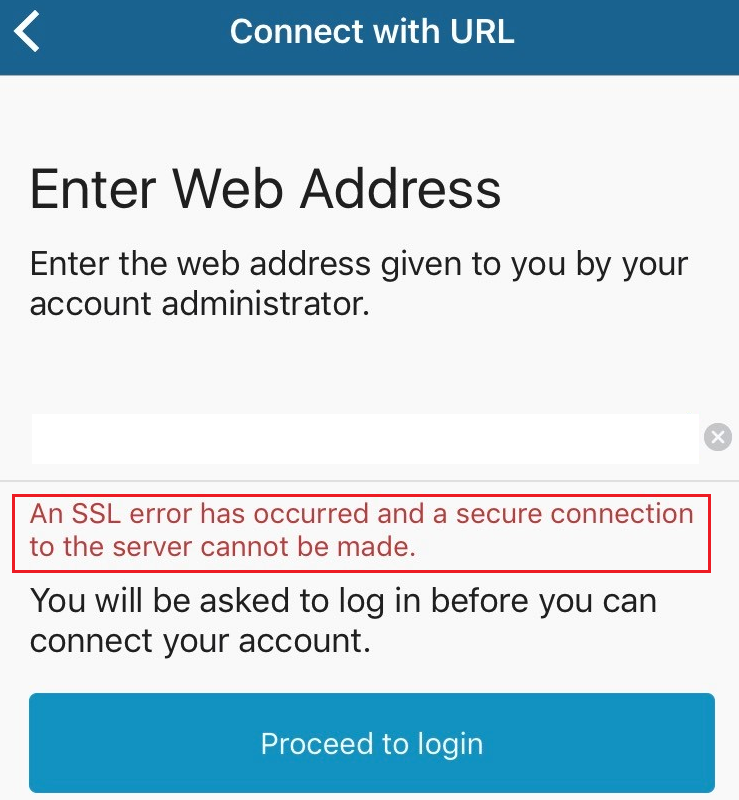 "An SSL error has occurred and a secure connection to the server cannot be made"
The SecureAuth Authenticate app cannot establish negotiate a SSL connection to the SecureAuth server. With the latest version of the app, the cipher list was updated and may not be compatible with older insecure ciphers. You will want to make the changes where the connection terminates whether on the SecureAuth server, or the load balancer. For more information regarding new features and changes to the SecureAuth Authenticate v5.0 app, please go to the following link.